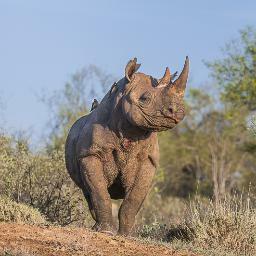 An alliance of institutions and individuals has formed to sequence the genome of Ntombi, a black rhinoceros. The members and financial supporters of this alliance hope that their efforts will contribute to the survival of this critically endangered species. A poaching crisis driven by demand for rhino horns in East Asia, where it is prized as a status symbol and as an ingredient in indigenous medicinal preparations, has reduced the number of living black rhinos to the point where the survival of the species is critically endangered. Three of eight black rhino subspecies have already been hunted to extinction, and just 5,055 animals remain in their native habitat ranges in Namibia and Coastal East Africa. The Black Rhino Genome Project intends to sequence the genome of Ntombi, a living member of the “south-central” black rhinoceros subspecies. Using the DNAnexus platform, the project will produce the first fully annotated version of the black rhino genome, publish the findings in a peer-reviewed journal, and make the genome information available as an open-access resource for analysis by the worldwide scientific community. Black rhino research can then proceed rapidly, advancing scientific understanding of survival-related factors such as disease resistance and reproduction. By extending its scope to the genomic analysis of all eight black rhino subspecies, the Black Rhino Genome Project may also raise the possibility of bringing the three sub-species that no longer exist back from extinction. The alliance at the forefront of the Black Rhino Genome Project is composed of University of Washington Professor of Pathology, Bioengineering, and Cardiology Chuck Murry, MD PhD, whose research interests include tissue engineering, and University of Washington Professor of Genome Sciences Jay Shendure, MD PhD, who has developed a broad range of powerful genome analysis technologies, and Pembient, a Seattle Washington-based biotech company dedicated to ending the threat to endangered species caused by poaching. Pembient has already shown how technology can help the endangered rhinoceros win the fight for survival against poachers. Using genetic analysis and tissue engineering, Pembient has manufactured rhino horns that are indistinguishable from those cut from killed rhinoceros and sold by poachers. By flooding the rhino horn black market with Pembient’s fabricated product, conservationists hope to take away the commercial incentive for rhinoceros poaching and reduce rhinoceros killings. The Black Rhino Genome Project has organized a crowdfunding campaign to sequence the genome of the black rhinoceros Ntombi. As of July 8th, the project was 74% funded, with $12,121 pledged against a goal of $16,500. The campaign is hosted by Experiment.com, a crowdfunding platform for scientific projects of merit and importance. 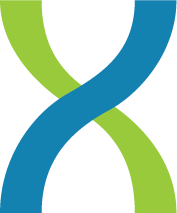 DNAnexus is providing secure, cloud-based DNA sequence data management, analysis, and distribution for the project through the DNAnexus platform, and is, in addition, a direct contributor to the Black Rhino Genome Project crowdfunding campaign. If you would like to join us, visit Sequencing the Black Rhinoceros Genome at Experiment.com for more information.